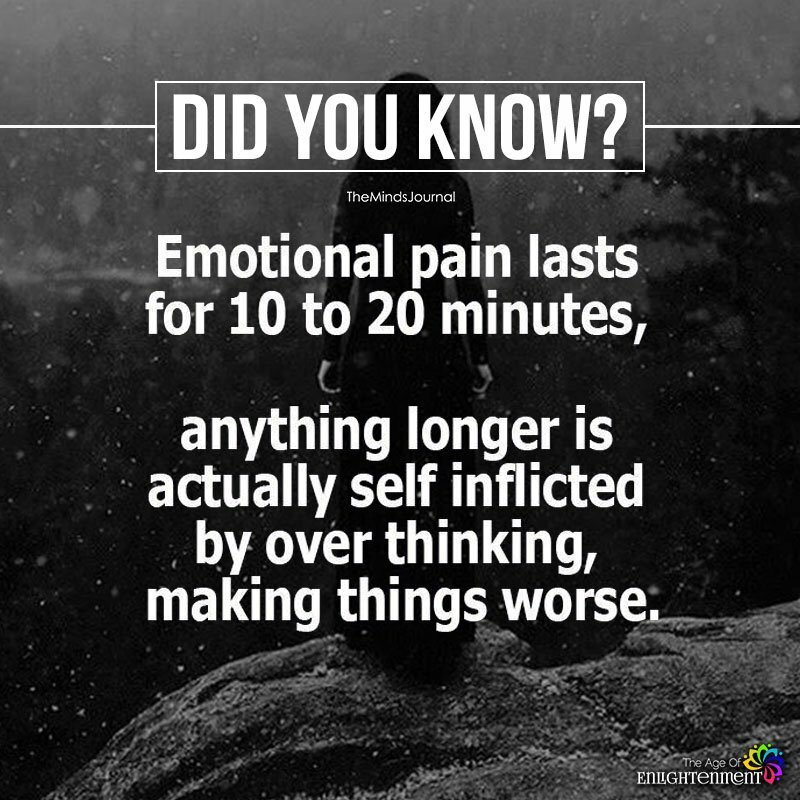 Emotional pain lasts for 10 to 20 minutes, anything longer is actually self inflicted by over thinking, making things worse. Ok so when lm being raped l will be ok in 20 minutes because if l overthink what just what happened lm responsible for my prolonging my trauma. Oh how two minds can be on the same path at once!! The emotional pain caused by the death of your children is for the rest of your life! If you think that is over thinking it, then I wish you a very long life!